transmission between two surfaces believed to be touching." 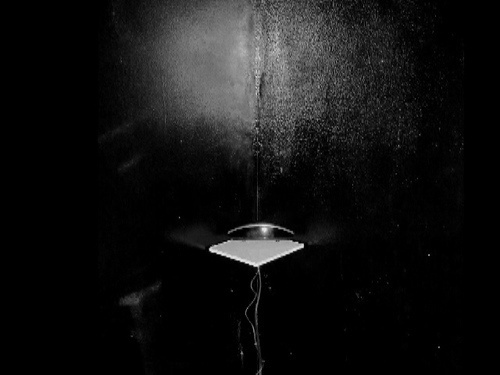 This piece explores with the phenomenon of sonic interference, and the effects it has on the identity of sound from the moment it is produced and until it reaches our perception. 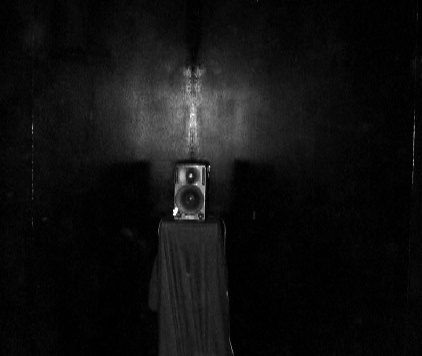 Two loudspeakers are placed in a dark space and are playing recordings made around Oxford. The audience enters the room wearing wireless headphones, listening to sine-tones that are tuned to the fundamental frequencies of the recordings and interfere with the sound from the loudspeakers, creating an ever-changing soundscape which is altered according to the position of the audience in the space.